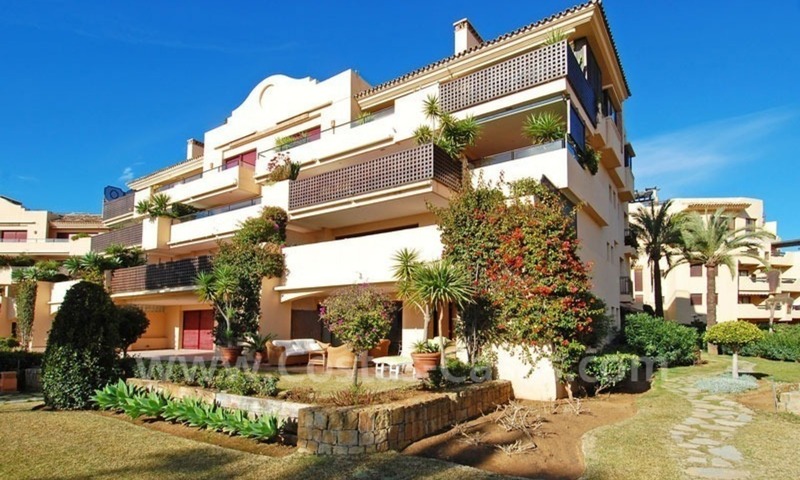 Apartment for sale Marbella New listing. 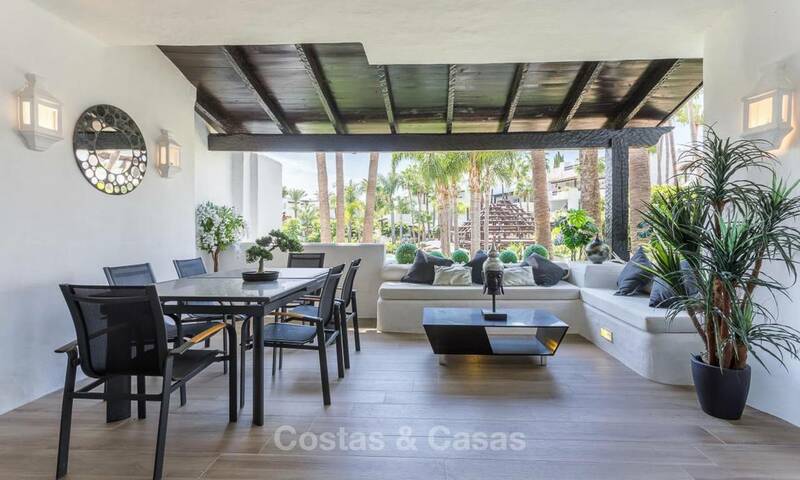 This extraordinary frontline beach luxury apartment for sale is located in a beachfront complex on the Golden Mile, between Marbella centre and Puerto Banus, at only a short stroll to Puerto Banus. All apartments are frontline beach separated from the beach with the gardens and have direct access to the beach and promenade. The apartments are built to the highest standards. The apartment for sale consists of a huge living room, an open plan kitchen and 3 ample bedrooms en suite. From the extensive south facing terrace you have an open sea view along the coast of Marbella to the North African coast. The interior measures more than 300m2 and the terrace about 150m2. Within the next few days you will find a full description of this luxury apartment for sale in Marbella. 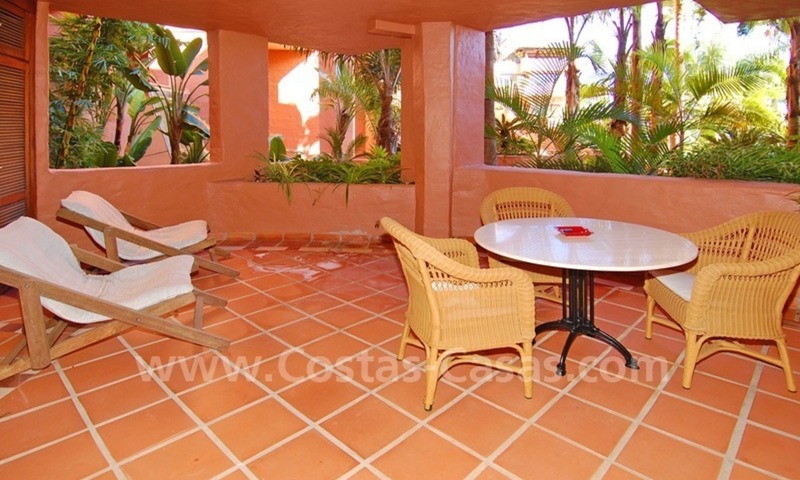 Within this exclusive complex we have 3 apartments for sale. Please inquire. 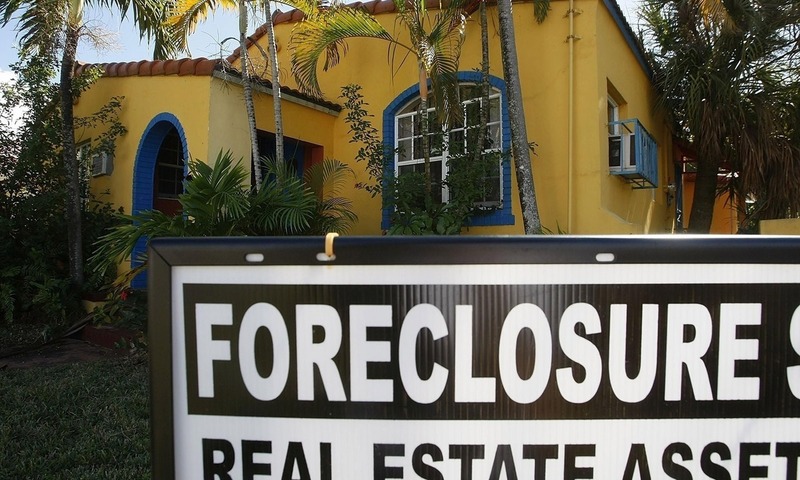 Distressed sales - Bank repossessions - Bargain properties for sale, Marbella, Costa del Sol Distressed sales on the Costa del Sol Bank repossessions for sale on the Costa del Sol Bargain apartments and villas for sale in Marbella, Benahavis, Estepona Urgent sales Marbella and Costa del Sol Please contact us for more information. 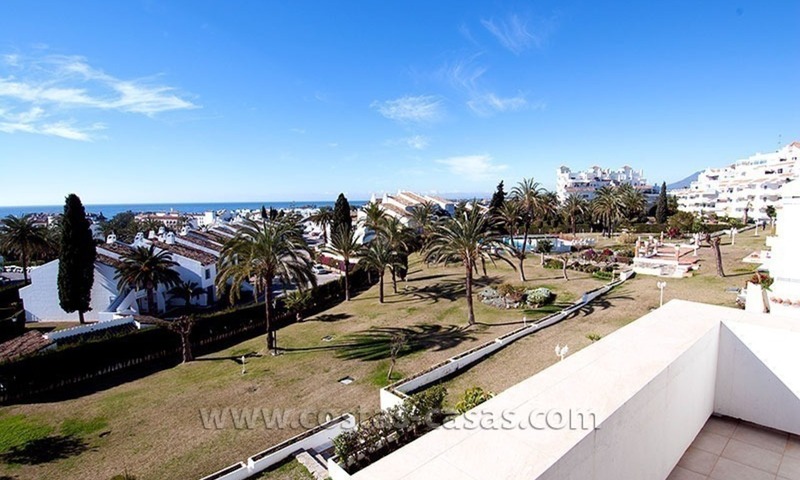 For Sale: Apartment close to Puerto Banús in Nueva Andalucía, Marbella This apartment on the top-floor of an elegant building is located close to a large and lively mall with a great number of shops and services. Puerto Banús and its beaches are within easy walking distance. From the terraces, and from both the living room and the master bedroom, gorgeous, unobstructed views may be appreciates of the gardens, pool, the emblematic La Concha Mountain, the Mediterranean shoreline and the sea. Early viewing is highly recommended. 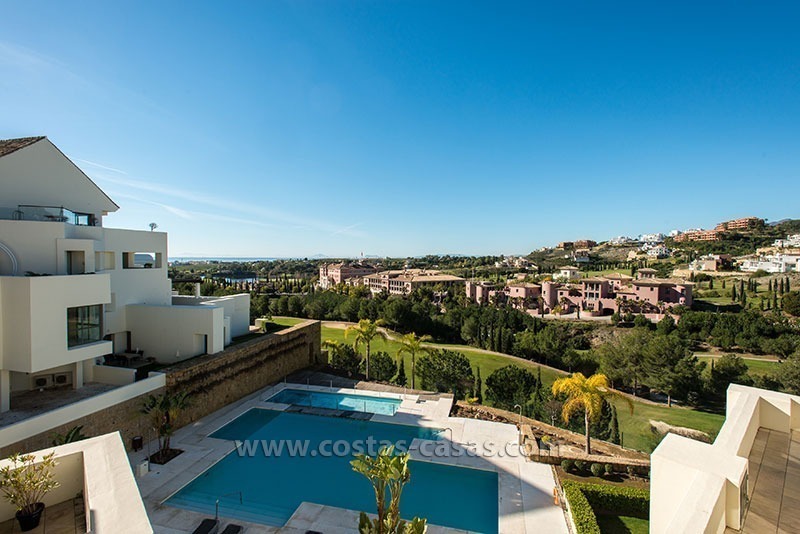 For Sale: Modern Apartment at Golf Resort in Benahavís – Marbella The southwest-facing apartment is part of a prestigious estate located within one of West Marbella’s best-know golf resorts. From its sunny terraces, unobstructed views may be enjoyed of the Mediterranean Sea, the nearby fairways and the estate’s subtropical gardens. The beaches are but a few minutes’ drive distant as are most amenities and commercial venues.